Last week I introduced the inspiration for my “Big Girl’s Bedroom” makeover. If you missed that post check it out HERE. 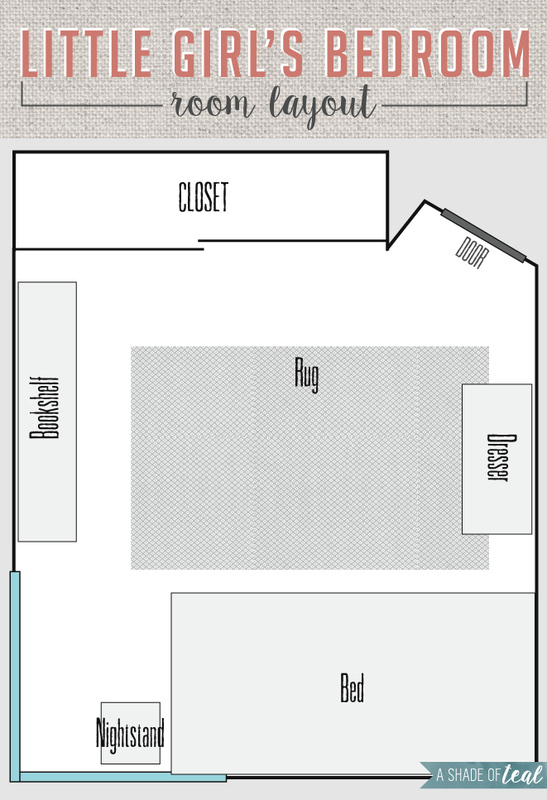 Now I’m sharing the before of the room and the layout. As you can see above the layout is a pretty standard room. The only problem I have is figuring out where to position the furniture where its not blocking the entrance, closet, or windows. I really don’t have a full empty wall space to anchor the bed off of. So, I’m planning on placing the bed where it partially sits in front of the window. Then I’ll have a tall dresser, a nightstand, and if room her existing bookshelf. Here are the before pictures. 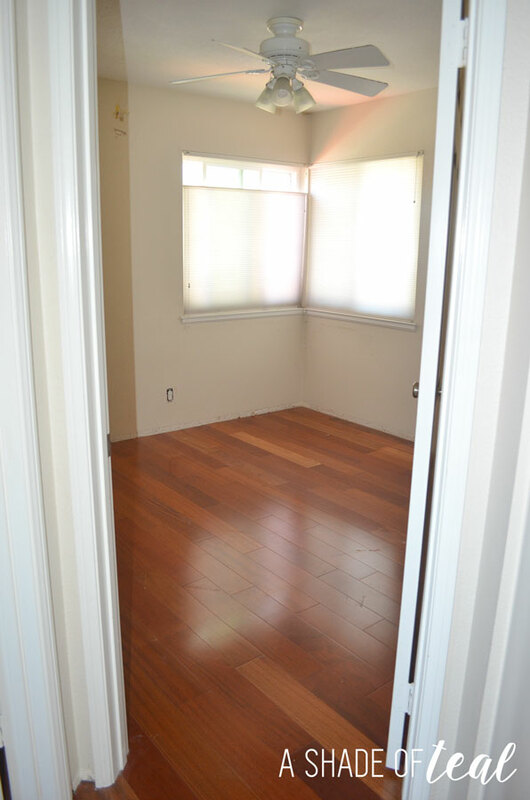 This is how the room looked the day we moved in, over 2 years ago. The room had no base moulding; almost the entire upstairs had no moulding for some reason so I’ve been slowly adding it as I get to each room. Then they damaged the wall pretty bad. 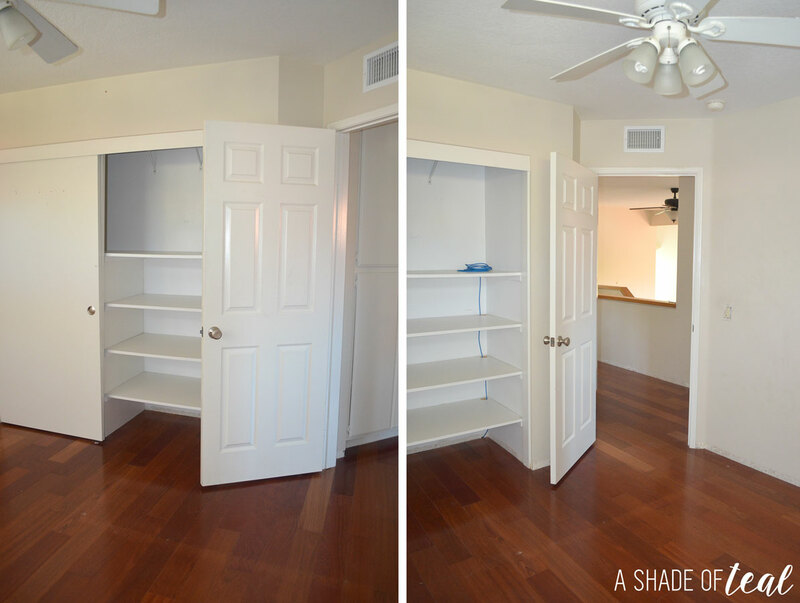 When the previous owners lived their they had a large built-in desk & Murphy bed. Obviously they didn’t care to remove it properly. Lucky for me I know how to patch walls so I didn’t make a fuss during our final walk through. Redo old IKEA Malm dresser. I still plan to get this all done by the end of February. 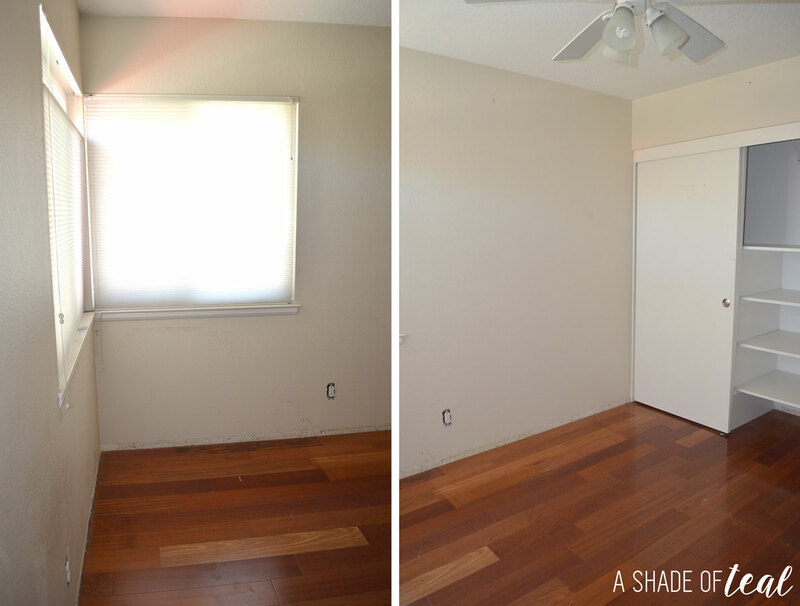 I hope you join me on this room makeover. Enjoy!